1. According to legend, Daedalus built two sets of wings so he and his son could escape imprisonment. 2. The Chinese invented gunpowder. 3. The Chinese may have used man-carrying kites to spy on their enemies. 4. Leonardo da Vinci developed the first known principles of flight. 5. Laurenco deGusmano invented the hot air balloon. 6. The first human passengers flew on the Montgolfier brothers' balloon. 7. Thaddeus S. C. Lowe organized the Balloon Signal Service of the Union Army. 8. Ferdinand von Zepplin designed the first successful dirigible. 10. The Wright brothers had the first success in controlled, powered and sustained flight. 11. The dirigible was an important improvement over the balloon because it could be steered. 12. Helium, as a lifting gas in balloons, was a major advancement in ballooning because of its safety. 13. Three European scientists – Toricelli, van Guericke, and Pascal – learned that atmospheric pressure decreases the higher you climb. 14. The three basic problems of flight are (1) developing necessary lift, (2) sustaining that lift and (3) controlling the aircraft once it is flying. 17. Wings having a front and a rear spar, with connecting ribs, were developed by John Stringfellow. 18. Samuel Pierpont Langley's aircraft Aerodrome was the first airplane to successfully fly after being launched from a catapult. 19. The Wright brothers solved the three basic problems of flight when their Flyer flew on December 17, 1903. 1. Robert Esnault-Pelterie built a Wright-style glider in 1904 and used ailerons to replace the wing-warping technique. 2. Alberto Santos-Dumont flew the first powered aircraft in Europe. 3. Louis Bleriot was the first person to fly across the English Channel. 4. The first international air meet was held at Rheims, France. 5. The first four engine aircraft was built and flown by Igor Sikorsky. 6. One problem with early aircraft engines was that they were too heavy. 8. Eddie Rickenbacker was a former race car driver. 9. Anthony Fokker was a Dutch airplane designer. 11. Billy Mitchell commanded the first mass-air bombing attack. 12. Raoul Lufberry was a member of the Lafayette Escadrille. 13. The War department was not enthusiastic with the Wright brother's offer to build airplanes for the government. 14. Before Glenn Curtiss became interested in aviation, he was a motorcycle racer. 15. Eugene Ely made the first flight from the deck of a ship. 16. Ist Lts Oakley Kelly and John Macready were the first persons to fly nonstop across the United States. 17. The first woman to fly solo across the English Channel was Harriet Quimby. 18. Helicopters are called rotary-winged aircraft because the wings (blades) rotate. 19. The first helicopter to lift a man into the air was built and flown by Louis Breguet. 20. On January 1, 1914, the world's first regularly scheduled airline was started in the United States. 21. By 1914, the United States did not have a single combat worthy aircraft. 22. The United States produced several British-designed combat aircraft during World War I. 23. At the beginning of World War I, the airplane was used primarily for observation. 24. The first bombing raids carried out by the Germans in World War I were done with the dirigibles. 25. In World War I, fighter aircraft were used to drive off attacking bombers. 27. The Lafayette Escadrille was composed of Americans. 28. A lesson learned in World War I was – If you control the air, you can not be beaten; if you lose the air, you cannot win. 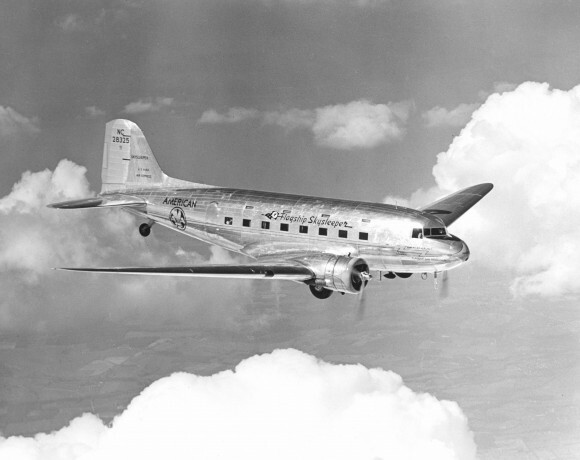 The Pulitzer Trophy Race began in America when Ralph Pulitzer offered a trophy to promote high-speed flight. The National Air Races were a result of the Pulitzer Trophy Race. The Bendix Race was a transcontinental speed race. The Woman’s Air Derby led the formation of an association of women fliers called the Ninety-Nines. In 1915, Woodrow Wilson formed an organization called the National Advisory Committee for Aeronautics. More efficient wing shapes were developed by the School of Aeronautics at New York University scientists. Igor Sikorsky developed the first practical helicopter. Charles Lindbergh was the first person to cross the Atlantic Ocean solo. One decline in the use of dirigibles during the 1930’s can be traced to many disasters. The Treaty of Versailles allowed the Germans to build Zeppelins again after their defeat in World War I. The Air Commerce Act of 1926 was the first attempt to standardize and regulate commercial aviation. The Air Mail Act of 1934 authorized a thorough study of commercial aviation. The Air Mail Act of 1938 unified the economic and safety regulations of the entire field of aviation. The Air Mail Act of 1925 allowed the contractor to be paid 80 percent of the airmail revenue. One Navy Curtis Flying Boat successfully crossed the Atlantic Ocean on May 30, 1919. On June 15, 1919, Captain John Alcock and Lieutenant Arthur Whitten Brown completed the first nonstop Atlantic crossing. The United States built 15,000 airplanes during the 21 months it was involved in World War I. At the end of World War I, airplane production dropped by 85 percent. Aviation in America might have died down after World War I except for two groups of people – the barnstormers and the Army aviators. Barnstormers put on flying exhibitions at county fairs, carnivals and anywhere else crowds gathered. The main contribution barnstormers made to aviation was that they publicized aviation. After General Mitchell’s sinking of the Ostfriesland, neither the Army nor Congress was impressed with the military power of the airplane over the battleship. The first successful transcontinental flight was completed on May 3, 1923, by two Army fliers. The first round-the-world flight was completed by the Army in 1924 using aircraft built by Douglas Aircraft. The army first tested the feasibility of using paratroopers in September 1929. Mitchell’s verbal attacks on America’s defense systems lead to his being relieved of command and reduced in rank to colonel. Beginning on May 15, 1918, the Army flew airmail until the Post Office Department took over three months later. Many were opposed to the development of an airmail service, especially the railroads. Charles Lindbergh was the first person to fly solo across the Atlantic Ocean in his airplane, Spirit of St. Louis. Charles Lindbergh was responsible for thousands of people entering pilot training. Amelia Earhart was the first woman to cross the Atlantic Ocean both as a passenger and as a solo pilot. 1. The Japanese strategy in the Pacific was to strike swiftly in several directions, capturing the East Indies, Philippines, New Guinea, and the Marshall, Caroline and Mariana Islands. 2. The primary purpose of the Japanese attack on Pearl Harbor was to cripple the American fleet. 3. After Pearl Harbor, the “contract” schools increased their production of pilots. 4. The WAFS personnel were civil service employees. 5. The major Allied Powers in World War II consisted of the United States, Britain, and Russia. 6. At the end of World War I, the United States, Britain, and France had the most powerful air forces in the world. 7. At the beginning of World War II, France had the worst prepared air force. 8. 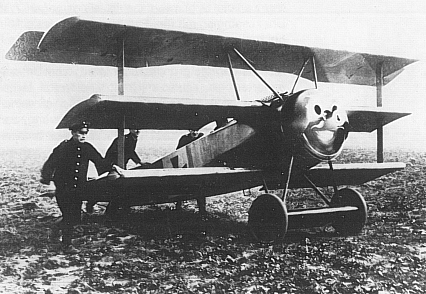 It was under the guise of commercial aviation that the German Air Force was revived after World War I. 9. For World War II, Germany's warfare strategy was a combined arms operations. 10. The tactic of Blitzkrieg was not stopped by the French using the Maginot Line. 11. Hitler was surprised when Britain and France declared war on Germany. 12. The Battle of Britain began in August 1940 when Germany began sporadic air raids. 13. Germany and Italy joined forces in 1940 to defeat the English in North Africa. 14. The Germans used glider-borne and parachute troops to capture Crete in 1941. 15. On June 22, 1941, Germany invaded Russia. 16. By the end of 1941, the short-duration war Hitler had asked for settled down to a long struggle of land armies. 17. Once the United States entered the war, the basic Allied strategy was to change from the defensive to the offensive. 18. At the beginning of the strategic bombing of Germany, the first priority targets were submarine factories, docks and ports. 19. The first atomic bomb was dropped on Hiroshima. 20. With air superiority obtained, the Normandy Invasion was almost completely unopposed by the Luftwaffe. 21. The Japanese strategy during the early part of World War II was to gain air superiority followed by an invasion. 22. The advance of the Japanese in the Pacific was stopped in the spring and summer of 1942 in the Battles of Midway and the Coral fought entirely by air power. 23. Night, low level bombing with incendiary bombs was used against Japan's industry during World War II. 24. World War II was won by the technological and wartime production capabilities of the Allied powers. 25. The aircraft carrier became the dominant naval weapon of World War II.